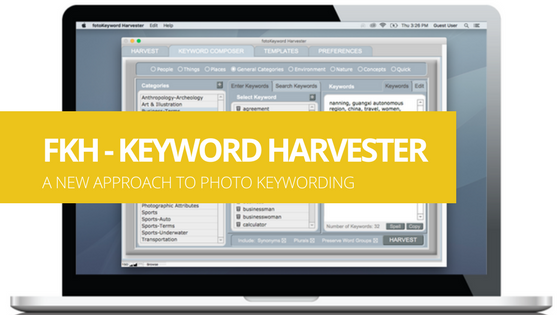 The fotoKeyword Harvester™ automates photo keywording – the process of researching and capturing, or harvesting, the words that best describe the image you’re keywording by utilizing multiple resources on the Internet. It is a new approach to photo keywording. Current keywording methods have you start with an empty window for each of the thousands of images that you need to keyword, leaving it up to you to guess what words will make your image appear near the top of a search. 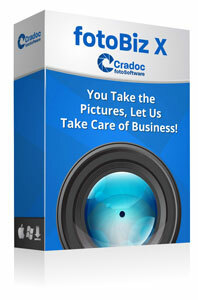 With each new image you keyword you need to start guessing again. When I started to keyword thousands of my own images to submit to an agency, the process of looking at a blank screen every time I started to keyword a new image overwhelmed me. In a few hours, I was fried. I needed help. I went to the Internet to see if I could find any kind of solution that would help speed up the process and there was nothing. There were a few programs, but they all basically presented that blank page again every time I came to a new image. As with other software programs I’ve written, I needed to come up with my own solution because no one else had solved the problem. I decided to search for images similar to mine on the Internet, and look at the words that were being used to describe them. I also searched on Wikipedia for location details. I searched on Google to check the spelling of towns and cities. I checked an online thesaurus. I tried to think like a photo buyer or image researcher, and I soon realized through this process I had to learn the language of keywording, a language that photo buyers already know since they constantly search for images. I started to gather together all the words and phrases I found in my research to help me keyword my photos, but I had no logical way to keep all the words organized. That is when I started to write the fotoKeyword Harvester. What kinds of words will people use when looking for specific ideas or concepts in an image? The fotoKeyword Harvester is a photo keywording tool that assists you in researching the answer to this question by looking for successful examples that already exist. 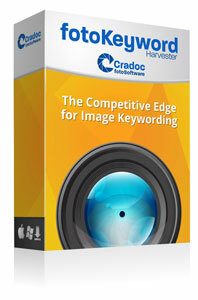 The fotoKeyword Harvester opens up to ten web pages at a time in tab browsing in your search engine. This lets you quickly grab the examples you find from these different sources and pastes them into the Harvester’s keyword window. Each time you click the Harvest Keywords button your collected search results are combined into a cleanly formatted keyword block, with all of the duplicate words automatically removed. Even a long list of common words or phrases, that might not make sense as keywords, can be added to the keyword block. Common words listed in the “exceptions” window, (such as: the, a, and, etc) will automatically be deleted from the keyword block. A comma or semicolon is placed between each of your keywords, and you have the option of preserving any groups of words with spaces between them. Continually transfer additional material into your keyword window as you find it, and then Harvest it, adding it to your existing list of keywords. Once you’ve gathered your “raw material” simply delete any words that don’t describe your image. It’s much easier to recognize these extra words and delete them than it is to try to think of every word that might describe your image from scratch. The fotoKeyword Harvester is the perfect tool for adding any captions or keywords from your existing images to this new group of words. Just capture the metadata that already exists for your image, paste it into the Harvester’s keyword window and process it along with everything else. With this comprehensive photo keywording software you’ll also be able to fine-tune your keywords with the built-in controlled vocabulary as well as create templates for frequently used blocks of keywords. The websites you select will help you harvest your keywords. We’ve entered a few as examples to get you started: stock agencies, Wikipedia, a dictionary, a thesaurus, Google, but you can easily change them. Use any source you can think of to grab words from. They can be individual words or phrases; the fotoKeyword Harvester will format them into keywords once they’re in the program. A place you might start your search is stock agencies. If you put keywords into their search engines and come up with images that are similar to yours, the keywords that found those images are keywords that could also describe your own image. These keywords can be a good starting point for your own keywords. Don’t just copy someone else’s keywords and use them. This is not the most powerful way to keyword your images. In fact, if you’re going to do that, you don’t need this program. The idea of this program is to use all of the resources available to you on the Internet to find the way other people relate words to images that are similar to yours, and then use your own judgment to attach the relevant words to your image. Again, you need to edit and refine the keywords to best suit your image. Go to an online thesaurus to get ideas for related words to those you’ve found. Check out the online dictionary. Search for location names and spellings in Google. Your options are endless. 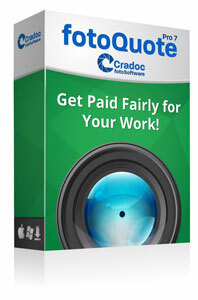 If you’re using the fotoKeyword Harvester to keyword images from your private or company archives, the same holds true. You’ll need to know what words researchers are going to relate to your images in the future when they’re looking for specific images. Is this program Alamy compliant? Hi Spencer. We do not buy or sell images. We provide software for professional freelance photographers to price, license and keyword their images as well as manage their photography business.